As teenagers, north London-based producers Tom Clarke and Sam Ricketts played in metal bands and were also into post-rock. While attending separate universities, they got into electronic music, with Ricketts particularly taken by cutting-edge London club nights such as FWD>> and DMZ. Once they finished their studies, they worked as a duo with new inspirations. As Cloud Boat, they made their debut in 2011 on the reactivated R&S label; the ‘Lions on the Beach’ 10″ offered a hybrid of downcast dubstep and melancholy folk, somewhere between Burial and Hood. Their lone recorded activity in 2012 was a lurching ambient remix of My Panda Shall Fly and Benjamin Jackson’s ‘Data-Module’. In 2013, they re-appeared with the 10″ ‘Wanderlust’, as well as the album ‘Book of Hours’, for R&S’ Apollo subsidiary. Now Cloud Boat are back with their second album, following last year’s critically acclaimed ‘Book Of Hours’ debut. 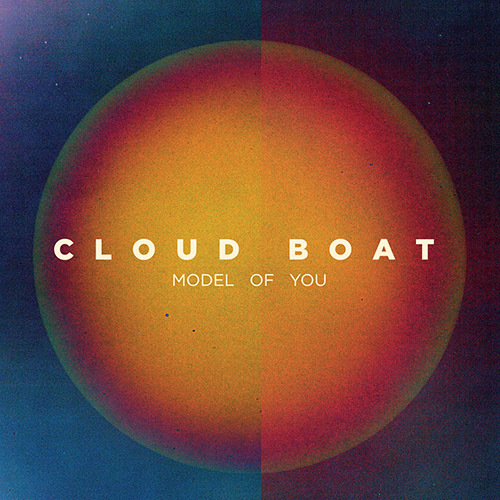 One listen to ‘Model Of You’ tells you that Cloud Boat are not the same band they were 12 months ago. Richer, heavier, more adventurous. This is an emotional record untethering themselves from the past sailing into deeper waters.The man charged with helping Cloud Boat navigate this new course is Andy Savours, the English producer who has worked with the pair’s favourite bands such as My Bloody Valentine, Sigur Rós and The Horrors. The result is a dramatic body of work destined for further greatness.